Are you frustrated and bothered by what you see on TV? You are not alone. In recent years, Hollywood has taken advantage of their self-regulated TV ratings system and cable TV looks more like HBO than family-friendly programming. Networks advertise their mature and explicit programming during family-friendly shows; these commercials include overtly sexual themes, violence, and foul language. Most advertisers will not run ads during “mature audience” rated programming; therefore, Hollywood has no incentive to rate any program “mature” and, instead, rates things that should be for mature audiences as “TV-14” or acceptable for children over 14 years old to view. There is virtually no “G”-rated TV on prime-time. The Federal Communications Commission (FCC) is responsible for evaluating the TV ratings system and determining whether or not children are adequately protected from violent, foul, and graphic content. Right now, the FCC is accepting comments regarding the TV ratings system and whether or not they are doing their job to protect our children. There is no doubt that Hollywood, with their vast resources, are inundating this system to avoid further regulation. The content on cable TV is shocking, and no industry, especially one as corrupt and worldly as Hollywood, should be able to regulate themselves. Submit a comment to President Trump today and tell him you are fed up with the graphic content being shown to our children. CEO & President of Concerned Women for America Penny Nance is joined on the CPAC 2019 main stage by Congresswoman Cathy McMorris Rodgers and Dr. Ben Carson to discuss the dignity of every human life in a moving panel that left a mark on this year’s amazing festivities. Washington, D.C. – Today, the U.S. Senate is scheduled to vote on the Born Alive Abortion Survivors Protection Act (S.311), sponsored by Senator Ben Sasse (R-Nebraska) and cosponsored by 49 Senators. On Friday, the Department of Health and Human Services (HHS) issued a final rule governing the Title X family planning program. The Title X program was created to help individuals, particularly low-income individuals, access quality family planning services. This final rule requires physical and financial separation between abortion operations and family planning operations as well as prohibits referral for abortion, which is the best interpretation of the Title X statute. This final rule from HHS is in response to the hundreds of thousands of comments from Americans who do not want their tax dollars funding the abortion industry. I applaud President Trump and HHS for this integrity and patient-focused rule. Furthermore, because Title X grant recipients are no longer forced to refer for abortion, entities who previously objected to this provision can now apply for these funds. The Title X statute explicitly states that programs that promote abortion as a method of family planning do not qualify for funding. However, since it is government money in the realm of family planning, the abortion industry, particularly Planned Parenthood, has hijacked this program and has, for decades, used the fungibility of these taxpayer funds as their own personal slush fund. There is no gag rule: doctors are free to discuss options for pregnant women in a non-directive manner. Health care providers are neither prohibited or mandated to discuss abortion. Planned Parenthood now faces a choice: adhere to the statutory prohibitions and comply with the final rule or give up Title X funding. We don’t need to wait for their predictable and apocalyptic press release to know what they’ll choose: abortion. Planned Parenthood claims that abortion is only 3% of what they do, but their own annual report reveals that abortions make up 96% of their pregnancy resolutions. Abortion is not a small part of what they do; it’s who they are. This final rule integrates desperately needed integrity to a well-intended, but widely-abused program. It is a crucial step to disentangle taxpayer dollars from the abortion industry. 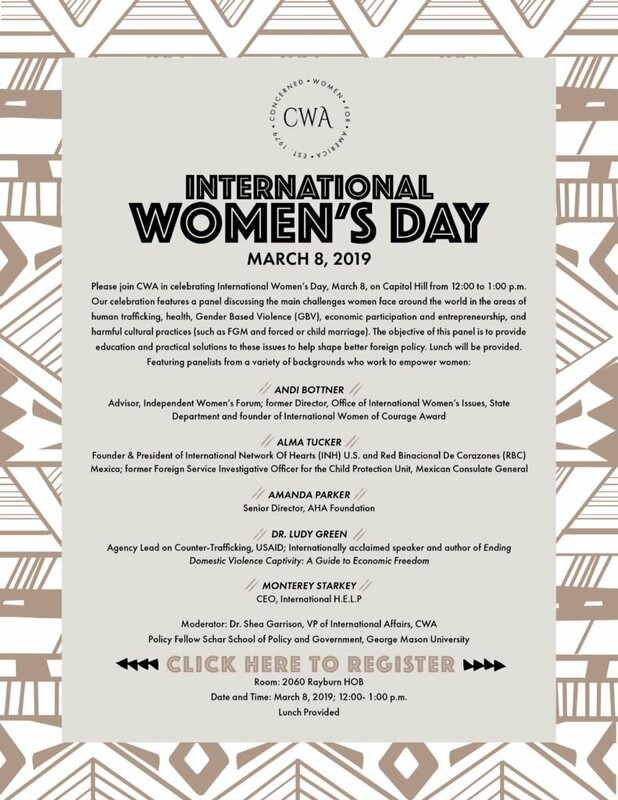 Celebrate International Women’s Day with CWA! To register, click the image above, or visit our Eventbrite page. Last Call! Urge Your Senators to Reject infanticide! This Monday, February 25, the Senate will vote on the Born Alive Abortion Survivor’s Protection Act, S. 311, sponsored by Nebraska Sen. Ben Sasse. The Born Alive bill requires doctors to provide a newborn who is born alive after an attempted abortion the same medical care that a child would be granted at the same gestational age in other circumstances. Also, it imposes penalties on health care practitioners who break the law, while providing mothers a private right of action and an avenue of justice against a doctor who would deny an abortion survivor the professional care and hospital admission necessary to preserve the life and health of the child. This bill is not about abortion; it is about rejecting infanticide. 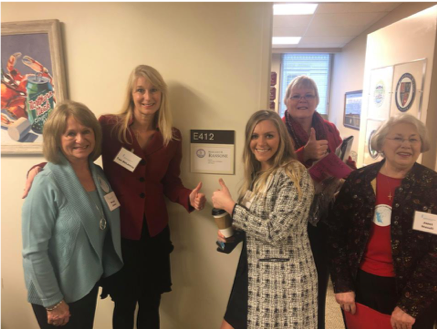 So many of CWA’s State Directors and state leaders have been active this week visiting their senators’ district offices asking for their support of S. 311. So many of you have called and emailed and tweeted and written your senators and asked for their support. CWALAC legislative staff have stormed Capitol Hill encouraging senators to vote to protect and preserve the lives of born alive children. Thank you for your efforts; they are not in vain, and people are hearing you, but now is the time to keep pushing. Make one more call or send one more email or another tweet over the weekend to each of your senators and encourage them to vote in favor of S. 311. We are expecting the vote around 5:00 p.m. on Monday, so contact them before then! Here is the link to our action center with a sample message you can personalize. If you’re not sure what more to say, check out CWALAC’s talking points on the Born Alive Abortion Survivors Protection Act. Thank you!! Vote on Rules Change Failed! ERA is Officially Dead in Virginia! Thank you for praying about and taking action on the multiple urgent e-alerts we have sent you concerning the ERA in Virginia for over a month now. Your continued prayers and action worked! The ERA was stopped in Virginia for this year! On a party line vote, earlier today, the rule change vote was narrowly defeated in the House of Delegates, killing the ERA for this legislative session. The last-ditch efforts of ERA allies were thwarted. Thanks be to God! The House of Delegates 51 Republicans voted to defeat any changes to the rules but the 49 Democrats each voted for the rule change. It was that close! Join us in praising God for this victory in Virginia. Please take action NOW: It is important that we thank the 51 delegates for their vote today. In your thank-you notes/emails, please remember to let them know that you are a member of Concerned Women for America of Virginia, we’re praying for them, and that we will continue to fight against ERA alongside them next session. Thank you! What You Can Do to Reject infanticide and the reckless crusade to expand late-term abortion! The U.S. Senate is poised to vote Monday, February 25, on the Born Alive Abortion Survivors Protection Act. This crucial legislation would shield a newborn who survives an attempted abortion from being denied the right to live. Doctors would be required to provide the same medical care to a newborn survivor of abortion that would be offered to any other baby at the same gestational age. Unfortunately — unbelievably! 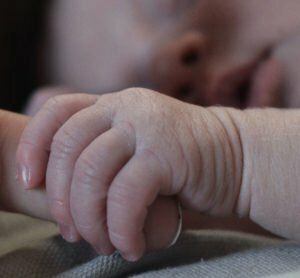 — infants born alive are not guaranteed these protections under federal law, giving abortion doctors the green light to turn their backs on a helpless baby after a botched abortion. Such negligence is nothing less than enabling infanticide. We need you to act today. Too many senators are in the pocket of the big abortion lobby. They are doing everything they can to avoid the issue and obstruct a vote. Even if your senators are strong on the life issue, they need to hear from you and know you are standing with them. U.S. senators are home next week (February 19-22), and a vote is expected when they return. We are asking you to visit the district offices nearest you NEXT WEEK and tell your two U.S. senators to reject infanticide and vote for the Born Alive Abortion Survivors Protection Act. It is unbelievable that saving a newborn baby fighting for life should be a partisan issue. But the left has completely rejected common sense. They are not willing to call infanticide for what it is and are spreading lies about the need for the legislation. Here’s the truth: federal law does not protect a survivor of abortion. At least one-third of states, including New York, have extreme abortion laws that make infanticide LEGAL. Virginia Gov Ralph Northam publicly endorsed infanticide when he defended a radical abortion proposal that would make abortion legal at any time in pregnancy, including while giving birth! This is insanity. Thank you for taking action on this issue. Please pray that the U.S. Senate will vote to save these little ones. This document provides an overview of state laws (as of February 8, 2019) as they relate to late-term abortion, born-alive protections, and public funding of abortion. 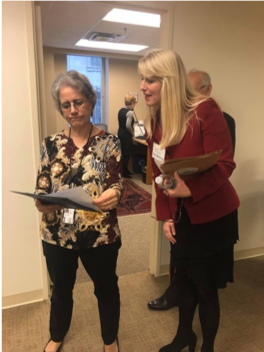 This past Thursday, Toni DeLancey, Virginia State Director, Kelsey Good, YWA Coordinator, and Amelia Koehn, Field Services Coordinator traveled to Richmond, Virginia to lobby key legislators to vote against the Equal Rights Amendment in the state capitol. We had a large group of men and women alike going into several offices voicing their concerns about how the ERA will not help women but rather, hurt women. There were several groups who were fighting alongside us with grace and a God-given purpose in the state capitol including, Students for Life and the Family Foundation. Our mission was to thank legislators who voted against the ERA and to encourage others who had not yet voted to vote against it. While meeting with the legislators, we of course prayed with them. This is much appreciated by the lawmakers due to the intense backlash they and their staff have received from proponents of the ERA. 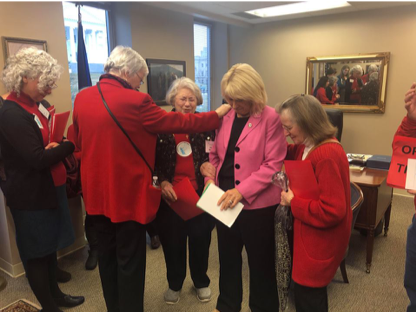 Concerned Women for America and the other like-minded organizations were able to go into the House Gallery and be introduced as faith-based organizations who oppose the Equal Rights Amendment. This was an incredible moment because proponents of the ERA and those who are indifferent were able to see the large group of men and women stand up against those who claim they are “for women” when in reality the amendment does not even mention women in the text. After a successful morning of lobbying, Toni DeLancey was able to speak on behalf of CWA and go into further detail as to what our organization does as well as Kelsey Good who explained the importance of young women getting involved in politics and influencing policy especially on college campuses.